The Ladder of Inference was created by Chris Argyris and Donald Schon in 1974 and has been used to accurately diagnose human interactions. The Ladder of Inferen ce concerns human interaction and every step of the ladder creates additional distortion regarding the situation derived from misguided beliefs and misunderstandings. Inferences are learned information concerning the behaviors of others derived from previous interactions with the people in question or people who we feel are similar to the target audience. The Ladder of Inference has seven rungs that begin with data and observable behavior concerning the immediate experience. The second step includes perceived data derived from the interaction that starts communication distortion because our input is fallible. We need to become aware at this initial step of our input in order to avoid miscommunication but the unconscious process happens spontaneously and is difficult to control without deliberate practice. 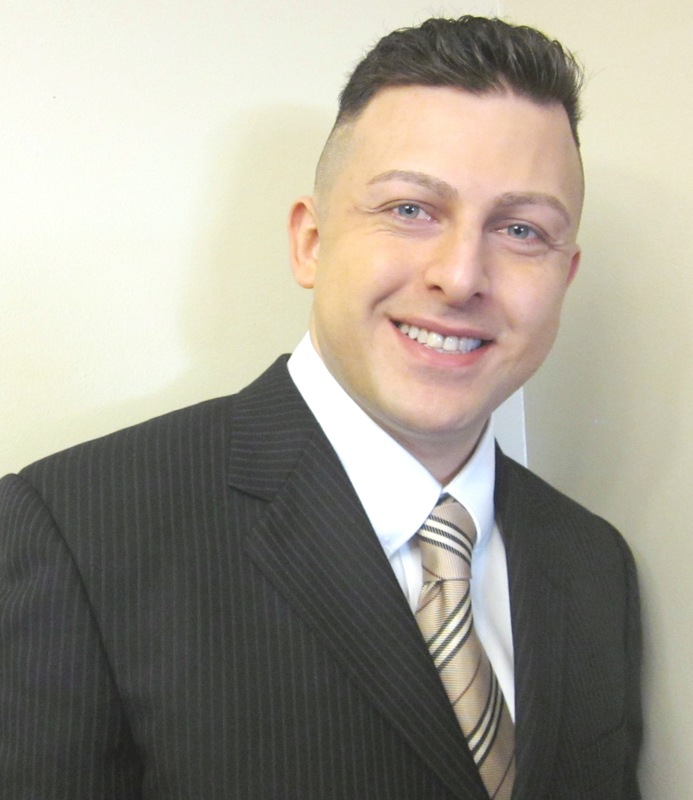 Step two incorporates the added cultural and personal beliefs associated with the communication topic. Step three concerns the assumptions based on the added information and how we make sense of the situation using the real data and the self-created data. The self-created data interferes with clear communication because the two or more parties are not privy to the equal information that is being used to dissect the interactive communication. Step four is an interpretive development where communication is combined with personal assumptions that impose meanings that might not be accurate or true. Step five brings all previous information together to form a final conclusion about the interactive situation which lends its findings to step six where new beliefs about the world are formed. These new beliefs or inferences are then applied to future situations or interactions that concern communication. This decisional area transforms information into long-term memory and creates a concrete view formed by this unconscious process. The seventh and final step concerns taking action based on the newly formed beliefs about the world and social interactions. We all use the Ladder of Inference to form our beliefs about the world and take action based on these beliefs. The process happens unconsciously and happens at different rates of speed for different people. Usually, the pace up the ladder is instantaneous and we need to become fully aware of the inputs that are going into forming our final concrete beliefs in order to accurately assess the situation and the world around us. Understanding the Ladder of Inference reduces conflict – aids in a mutual understanding concerning social points of view. 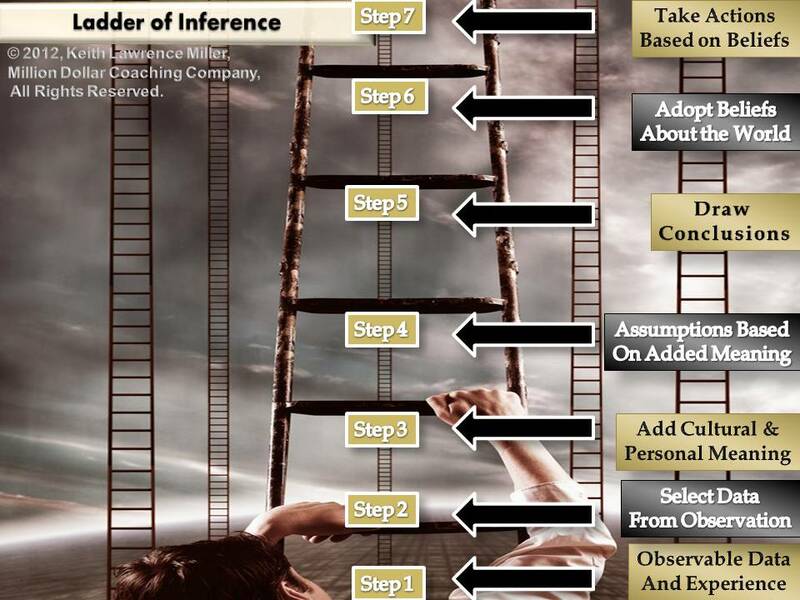 The ladder of inference identifies the human unconscious ability to immediately loop information up the progressive ladder to reach conclusions based on the perceived information concerning the people involved. This model is based on cognitive shortcuts concerning behaviors, traits, awareness, knowledge, and beliefs that concern the interpretation of the surrounding world. A manager needs to be aware of the steps in the Ladder of Inference in order to effectively communicate and understand co-workers which would enable correct action under stressful circumstances. Part of becoming self-aware is centered in guiding others to understand their Ladder of Inference using powerful questions concerning behaviors, beliefs about other people, and the situation. The benefit of using this model to operate is based on putting the effort in the front end to reduce problems and communication conflict on the back-end which promotes better work production and the savings of time exponentially increases with effective communication derived from the use and internal understanding of the Ladder of Inference model. Awareness concerning the Ladder of Inference in Career coaching positively impacts social intelligence in the workplace for leadership, management, and high potential associates. Communication in the workplace is always in need of constant repair because of our internal processes. Companies today are searching for the top percentage of the workforce to work for their company and communication becomes increasingly distorted when everyone is talking and no one is listening. High achievers have become successful because of constant input and proactive abilities – when you only have a certain type of person forming workgroups then the heterogeneity creates team cohesion. Work style diversity is needed within workgroups to create greater cohesion because the abilities need to mesh in a similar fashion to a lock and key. The distributed energies need to work off one another and increase group momentum to meet goals and the Ladder of Inference aids awareness when dealing with this critical type of communication concerning workgroups which ultimately is the life blood of the organization.